Located in the Appalachian mountains of North Carolina, we grow vegetables and cut flowers using sustainable methods. ​Springhouse Farm is named for an original feature of the farmhouse, built in the late 1800’s. The springhouse, still intact, cooled food using naturally cold water from a nearby spring. Previously part of a 45 acre tract farmed by a family of 5, the soil still turns up arrowheads carved from granite on the land. 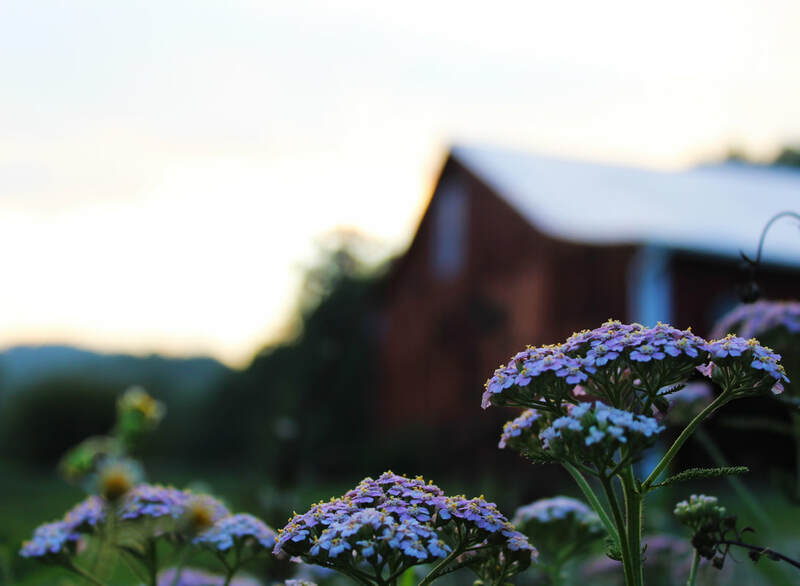 Mindful of the ingenuity of the springhouse and the deep history of the land, we use environmentally responsible methods to nourish our community in a sense of stewardship. We never use synthetic fertilizers, pesticides or GMO seeds. You can buy our produce and bouquets at the Watauga County Farmer's Market, at our Farm Stand in Vilas and through our farm CSA share. We welcome visitors, volunteers and farm interns. We have plant starts for sale! Click Here For Info.